The Three Birdie Raven. The Putter Beyond the Wall. 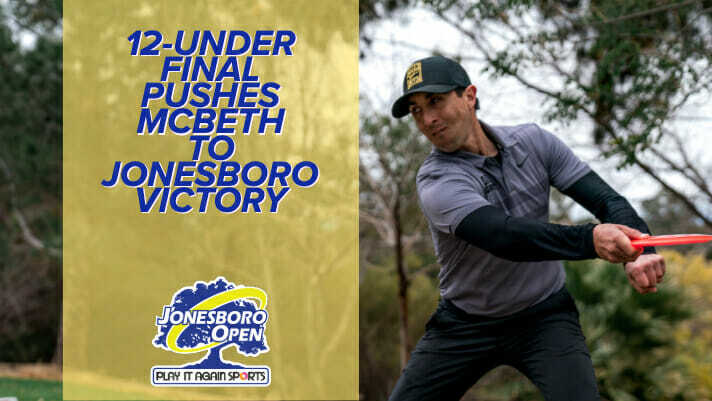 Maybe we’re forcing the puns, but Paul McBeth is currently winning the Game of Throws and his victory at the Jonesboro Open confirms it. McBeth took advantage of the break in play between the completion of round two Sunday morning and the regularly-scheduled round three Sunday afternoon, and did a reset. His 5-under par 59 second round was tied for the lowest of the morning, but that wasn’t going to push him past Garrett Gurthie if he wanted to close out the Arkansas trip with a victory. The driver and approach accuracy returned for McBeth in round three. He ranked first or second in the division in fairway hits, parked shots, Circle 1 in regulation, and Circle 2 in regulation. And just as in other recent tournaments, McBeth’s putter looks to be back, which put other players chasing the lead at a disadvantage. McBeth centered the bogey band on hole 6 for his only two-putt of the day, and finished at 90% from C1X, with a C2 birdie to go with it. Scores were still tight around the time McBeth missed the birdie on hole 6, with Gurthie and Chris Dickerson hanging tight on the lead card with McBeth, and Eagle McMahon starting to make a charge from the chase card. That door would quickly shut, however, as McBeth would go on a 10-straight birdie streak between holes 7 to 16 to win by three strokes. He would finish in first at 27-under par 165 total after the 1084-rated, 12-under par 52 final round. Gurthie went 6-down over the final five holes to secure second place at 24-under par 168 total. His putter went cold during the last 18 holes, going 45% from C1X, after being perfect in round two, although his round 2 putting performance could be explained many of his putts being just outside tap-in range. Chris Dickerson made some serious hay in his first DGPT showing since his win at last year’s Tour Championship, and finished in sole possession of third at 22-under par 170 total. The bogey-free 8-under par 56 final round was very good, but did not give him enough scoring opportunities to keep up with McBeth. 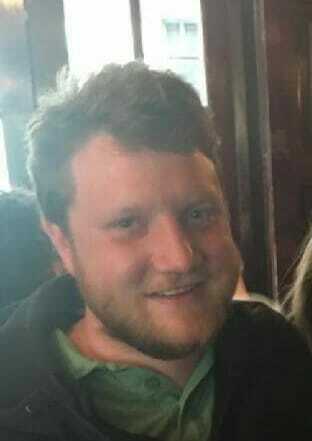 Arkansas native Kevin Jones struggled in his last go at Disc Side of Heaven. Jones carded three double bogeys, and putted at 38% inside Circle 1X to drop five spots into eighth place. McMahon had a resurgent final round from chase card, a 9-under par 55, that saw him go 5-under through the first eight holes, and put serious pressure on McBeth, who had yet to start his birdie streak. If McMahon had been able to get into position on the green, we may have seen a legitimate run at first from the chase card. He was 100% from C1X putting, and an astounding 71% from C2, connecting on five attempts from 33 or more feet. McMahon finished fourth at 21-under par 171 total. The Disc Golf Pro Tour will take a month-long hiatus before the San Francisco Open in May. Comments on "McBeth The Best On Sunday, Wins Jonesboro"